Piper/ Candra Prabha, IYT (Integrative Yoga Therapist), E-RYT-500+ (Experienced Registered Yoga Teacher), Certified Level 1: Foundations of Ayurveda, YCEP (Continuing Education Provider), IAYT (International Association of Yoga Therapists) and Editorial Board Member for the Journal of Yoga Practice and Therapy. Piper first became a student of Yoga in college at UVM in 1992, seeking the balancing and meditational aspects of this practice as a complement to climbing, running, and skiing. As a Psychology student, she completed her honors thesis in "Yoga as a Therapeutic Intervention" and embarked on a lifelong exploration and study into all aspects of Yoga. She received her Integrative Yoga Therapy (300 hr IYT) certification in 1995 and has been teaching full-time since 1996. Her early training in the Iyengar, Astanga and Anusara styles led her to the primordial Tantric roots of the yogic tradition in 2004 under her teacher Dharmabodhi Sarasvati. With over 2,500 hours of instructor training and 22 years of teaching experience, Piper brings to her classes confidence and a well-rounded knowledge of the practice. Certified in the Foundations of Ayurveda by Dr. Claudia Welch and Dr. Robert Svoboda, she teaches with an in-depth understanding of the synergy of these sister sciences. She takes personal interest in each student with a thorough understanding of their strengths, circumstances and patterns, and guides them to perform according to their capacities. Her style of teaching is supportive and encouraging, inviting an exploration into body, breath and mind. 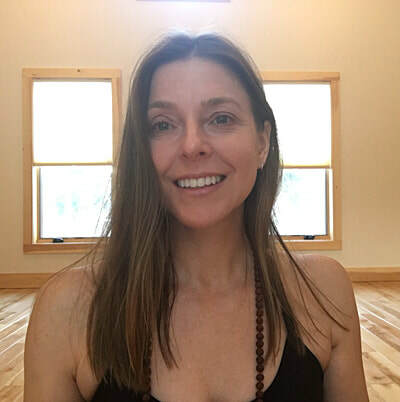 Piper specializes in working one-on-one therapeutically with beginner to advanced students, emphasizing alignment, awareness of the pranic body, breath directed movement, pranayama, meditation, muscular balancing and relaxation. Her continuous study of all aspects of Yoga has helped her to introduce innovative methods of teaching. She is particularly invested in the healing capacity of this ancient science and its profound transformational effects on the body, mind, and energy. ​Owner of Burlington Yoga since 2001 and director of the Burlington Yoga Teacher Training since 2009, she is especially inspired by and focused on individual Yoga Therapy sessions and the integration of the paths of Yoga and Ayurveda with daily living and vibrant health. Private and group sessions offered at Burlington Yoga and Shelburne Yoga. Please email or call for more information.